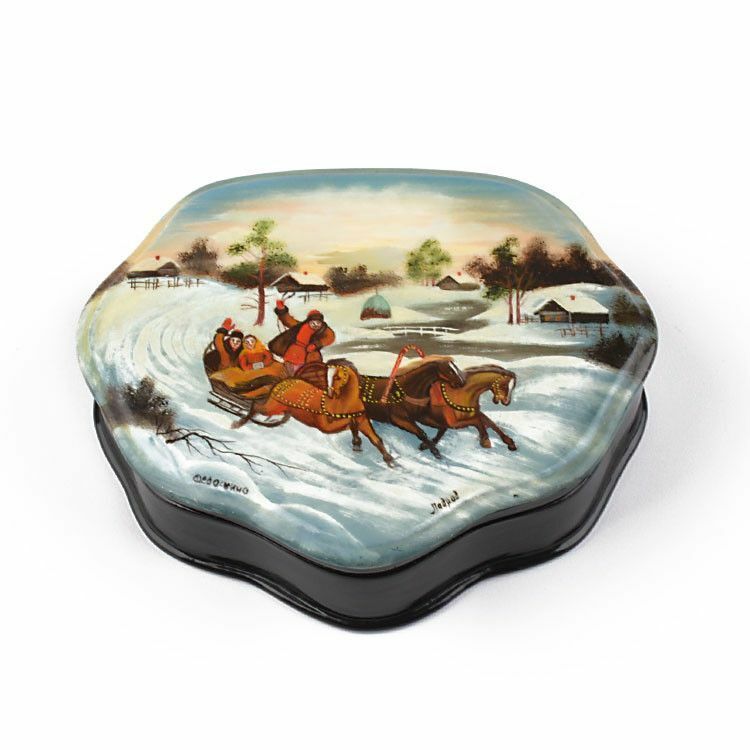 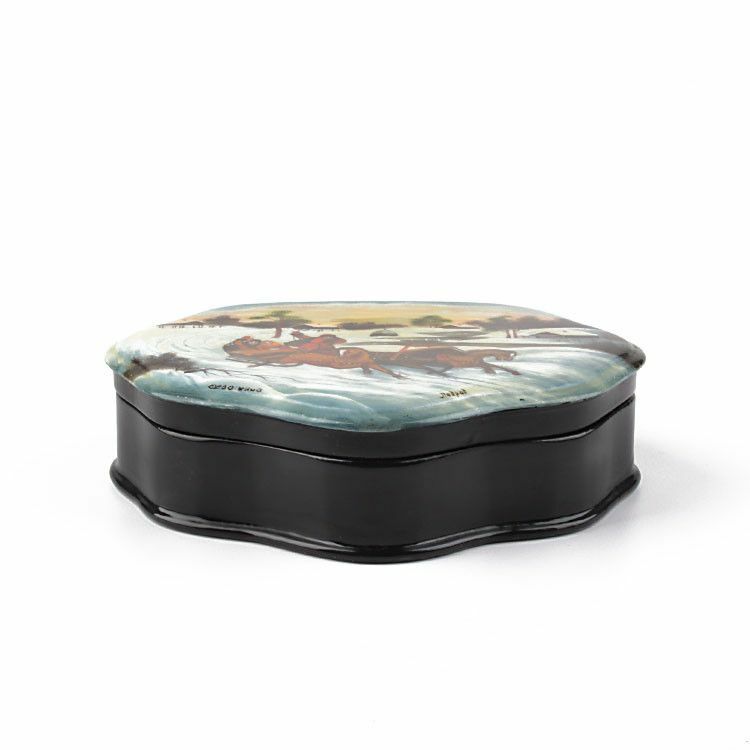 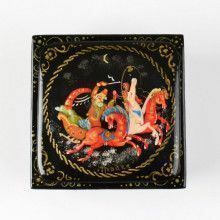 This Fedoskino Winter troika scene lacquer box from Russia is about 5 1/2" long and 4 1/2" wide in size. 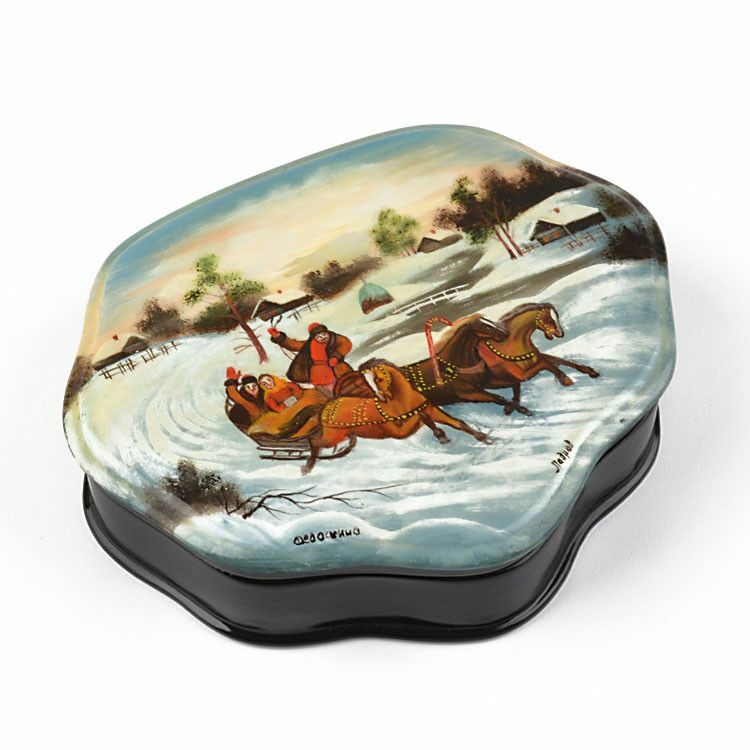 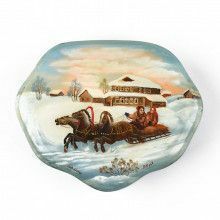 It features a lovely painting of a few Russians having a great time in the Winter season with their three-horse-drawn carriage sleigh. 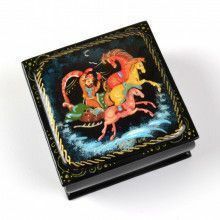 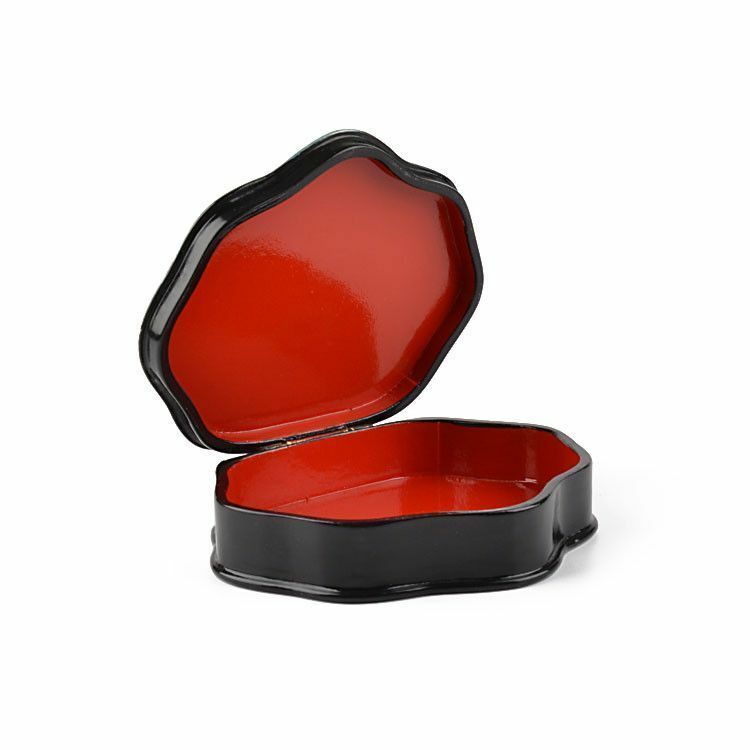 This imported Fedoskino box is a one of a kind and considered a collectible Russian item. 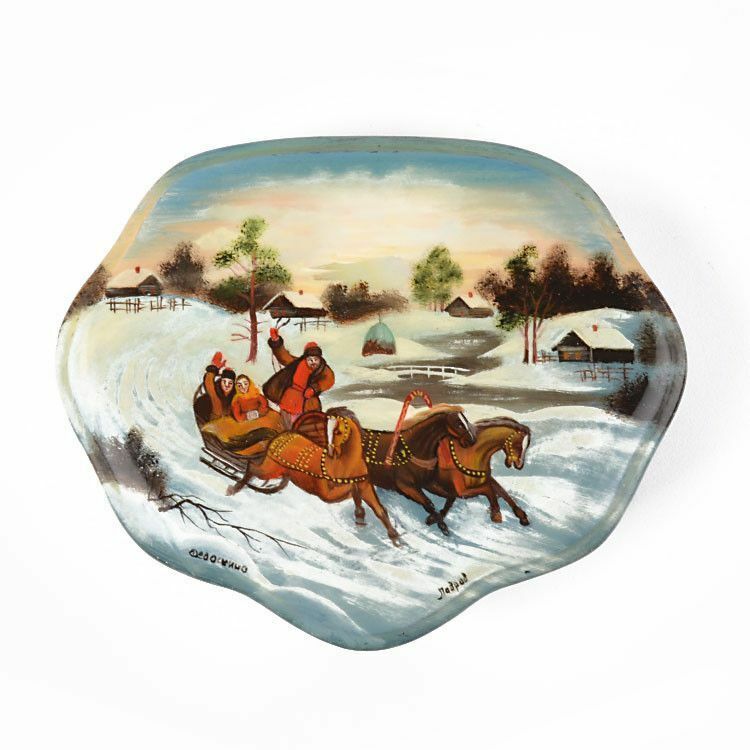 Signed "Fedoskino" and "Lavrov" (place and artist).